As a thank you they are offering you a discount with purchase from their online site until May 18 2015. 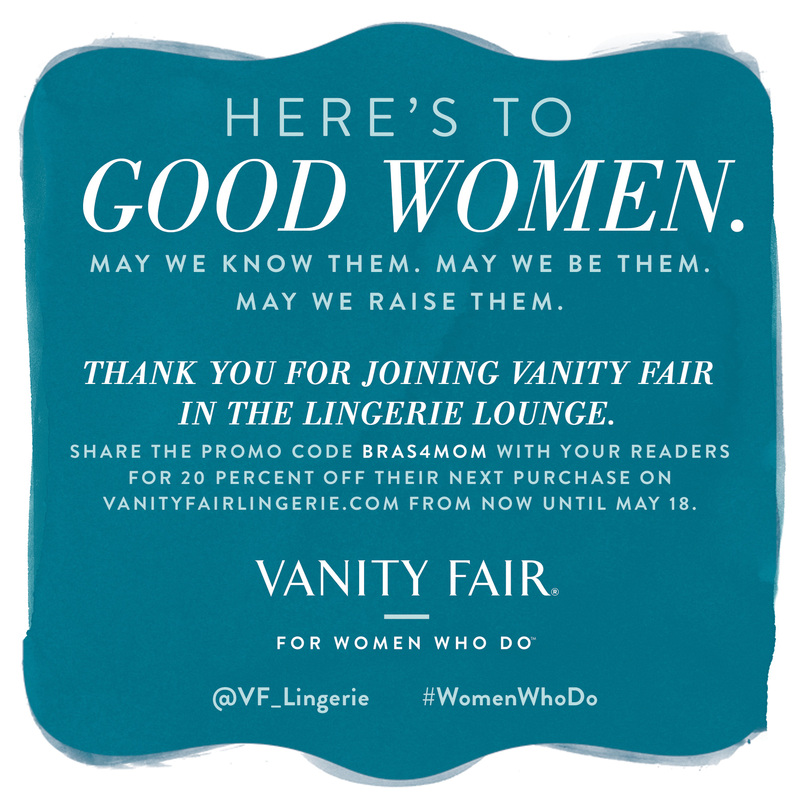 Thank you to Vanity Fair for this opportunity. We’re partnering with Dress for Success® to support women who are overcoming obstacles and finding lasting careers and happiness. Because all women deserve a chance to succeed in life, love and the pursuit of whatever they dream. This entry was posted in Fashionistas, Fun and tagged vanity fair, Vanity Fair Lingerie, women by llpitlwp. Bookmark the permalink.